I took this photo in Prince Albert National Park last weekend while camping for the long weekend. 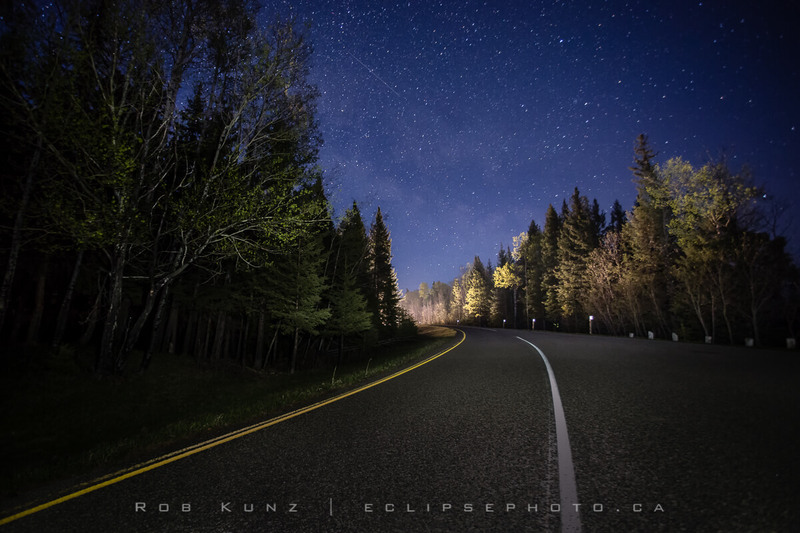 I had made some other images of the lake and stars prior to this when I noticed the nice curve in the road behind me. I liked the composition and was fairly happy with the setup when I heard a vehicle coming around the curve. I had originally thought the vehicle lights had ruined the image but once I got home and looked at the photo on the computer I realized that it actually makes the image! Without the mysterious lights around the bend the image would have no depth. That, my friends, is why I never delete photos from my camera in the field!